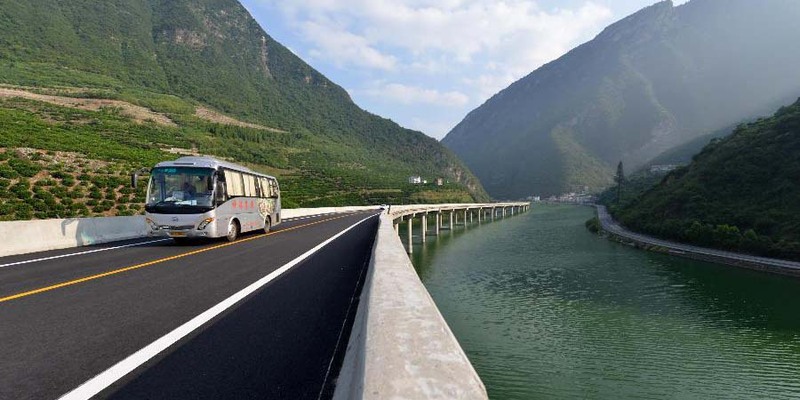 To avoid cutting through forest or tunneling through earth, an approximately 4km stretch of highway has been built above a river that runs through mountains in Xingshan county, Central China’s Hubei province. Those involved in the project are claiming it to be China’s first “ecological overwater road”. 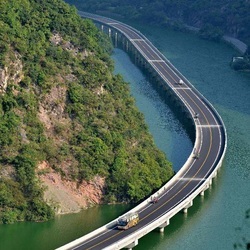 It’s reported that there are two original schemes on the road design: the first one is low-cost mountain and rock blasting scheme, and the second one is the 4.4km overwater highway scheme. 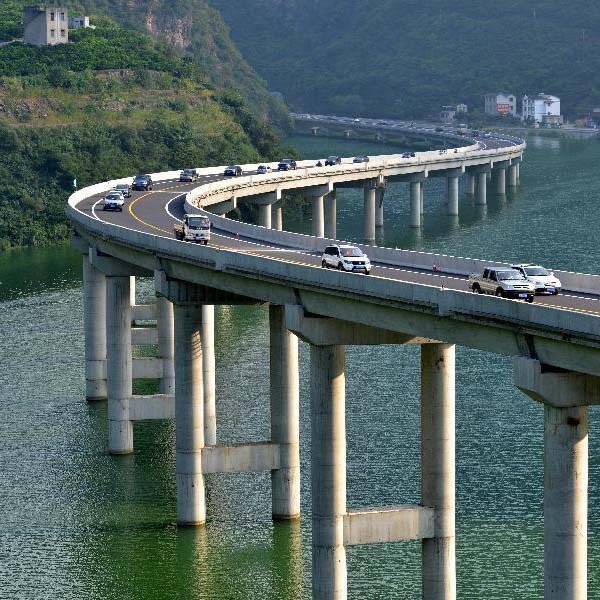 Xingshan county is located in Three Gorge area, which is weak in ecological environment. 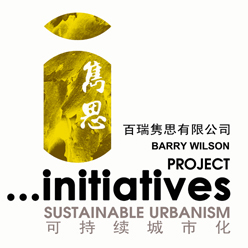 Mountain and rock blasting will save the investment, but its damages to the environment cannot be easily recovered. 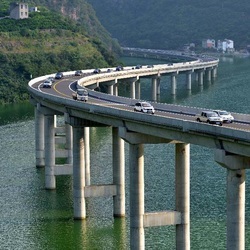 To preserve the natural environment for the next generations, the local government finally decided to adopt the Water Road scheme.